At their strategy day in April, members of our Competenz board met some of the people who are at the centre of everything we do: our learners. 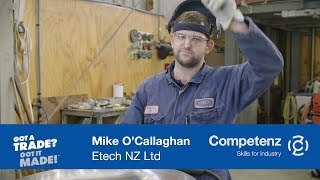 Eight apprentices (engineering, refrigeration and air conditioning, printing, forestry, plastics, baking and butchery) spent an hour sharing information about themselves: why they chose their careers, what motivates them at and out of work, how Competenz can help them build their skills. This was the first time board members have met learners in a session like this. Our directors were impressed by this motivated group of learners, and found the information they gained ‘invaluable’. Thank you to the companies that made this day possible, and for the learners who took part.